I haven't participated in Yarn Along for a couple of weeks largely because I haven't done much knitting. 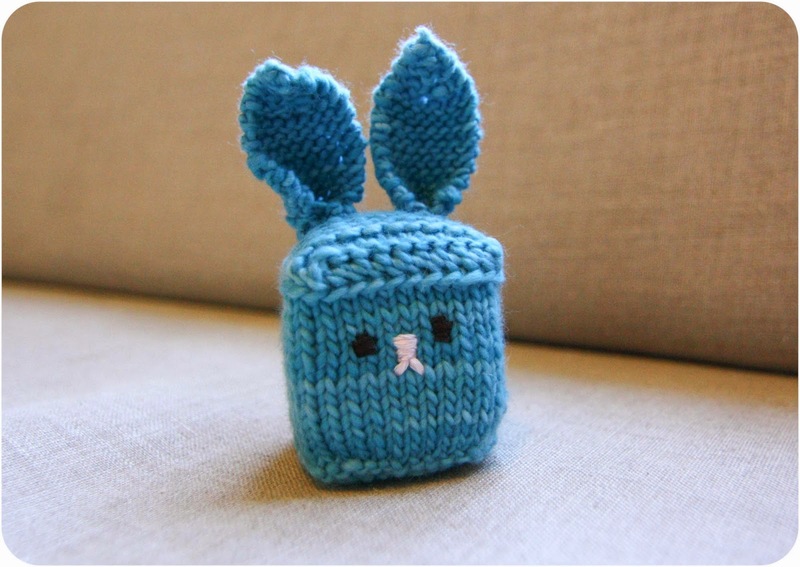 Easter is coming soon though, and I found these cute little bunny cubes that are a fairly quick knit (made with scraps, no less!) to add to the kids' Easter baskets. I haven't gotten quite as far as I hoped this week, but I'm sure I can finish the last couple before Easter. 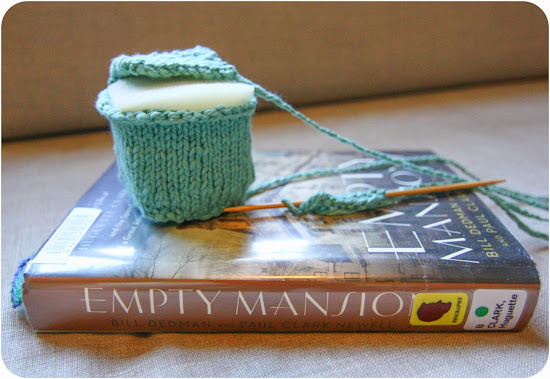 I also just started reading Empty Mansions, which has been on my library list for quite some time. I was fascinated with the story of Huguette Clark when it hit the news a few years ago. 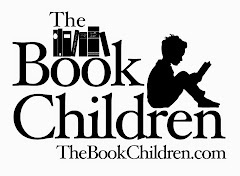 Thus far, the book is quite interesting with history of her family and many details of happenings in the world at that time. The lone finished bunny cube! He needs to start multiplying soon! The bunnies are adorable! And the fact that you can make them with scraps is even more appealing! Cute bunnies! Maybe I could get an early start on next year, cuz this year is too soon! Adorable!! I know what I need to make tomorrow.